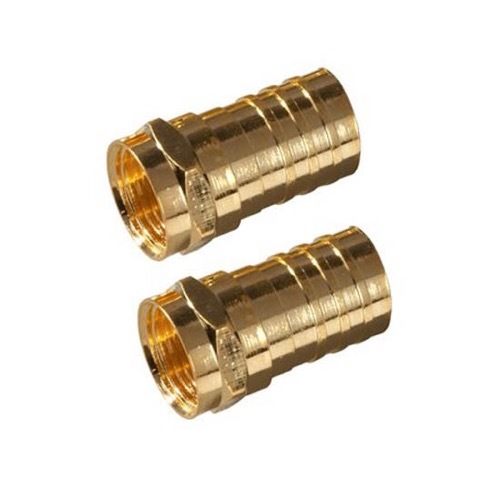 Gold "F" connector for RG-59 coaxial cable. Lot of 10. All connectors are marked for easy identification. Designed for a very high degree of pull strength. Gold plated for improved performance.